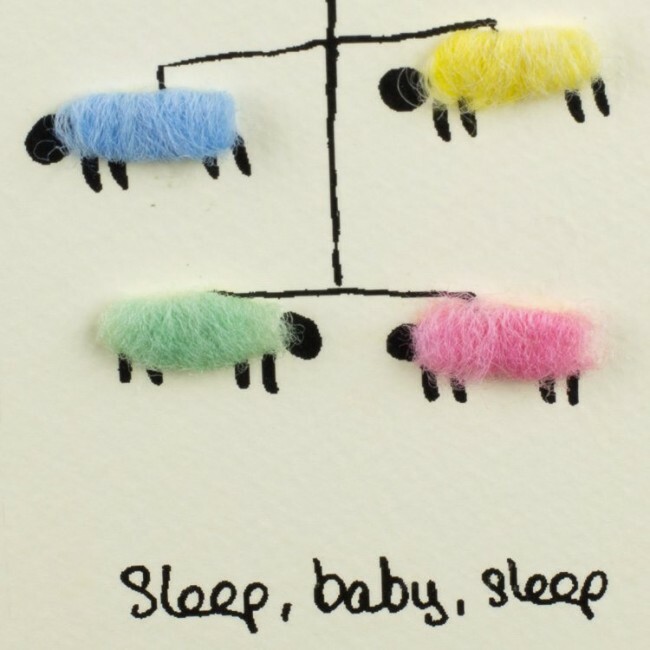 A beautiful handmade greeting card featuring 4 woolly sheep in a sheep mobile, with the words, sleep baby sleep underneath - that is, after all , what we'd like our babies to do! 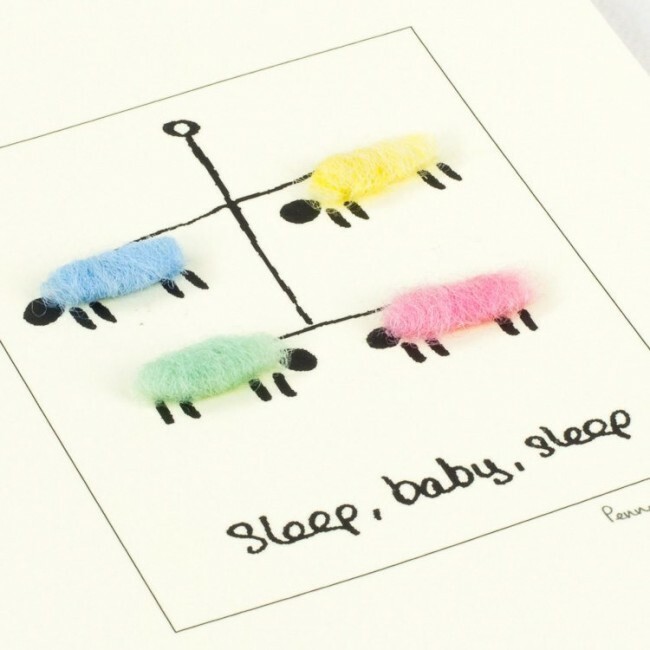 The sheep are hand finished with reas sheep's wool which makes the card a delight to feel as well as see! 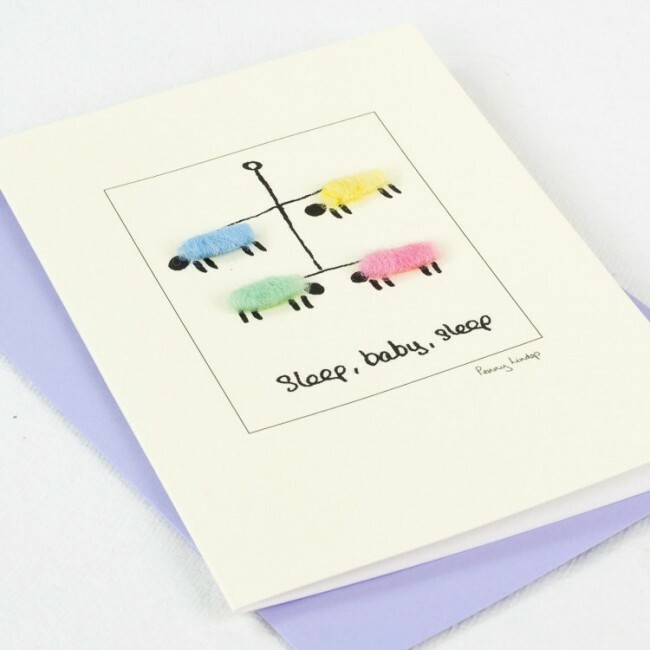 This is such an unusual new baby card, but always popular with those looking for something a little bit different, and a great card to buy if you don't yet know whether it's a boy or a girl. Supplied with a coloured envelope made from recycled paper; the card and envelope are supplied in a bio degradable cellophane bag. It can be kept and mounted in a 4" x 6" photo frame if so desired making a lovely little picture and reminder for the recipient. Printed on a quality 280 gsm textured board – a paper that is lovely to write on with all mediums, including a fountain pen.